The opening for the 30-share Sensex was positive, but positivity ended there as the index started rolling down afterwards. It settled at an over three-week low of 32,760.44, down 181.43 points, or 0.55 pc. 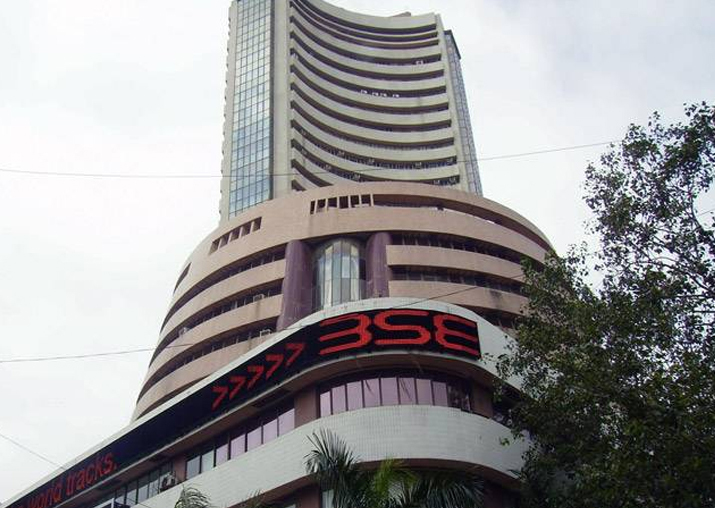 Stock investors got increasingly worried about the possibility of fiscal slippage as the Sensex plunged 181 points due to concerns over trade deficit that ballooned to an almost 3-year high. Lacklustre earnings by some blue-chip companies left investors disheartened, too. "Markets are pricing in the potential for a fiscal deficit target being pushed higher, with recent data showing pressures from both weak exports as well as high oil prices," said Anand James, Chief Market Strategist, Geojit Financial Services Ltd. The opening for the 30-share Sensex was positive, but positivity ended there as the index started rolling down afterwards. It settled at an over three-week low of 32,760.44, down 181.43 points, or 0.55 per cent. The loss for the Sensex read 372.69 points over the previous two sessions. At the close, the NSE Nifty was lower by 68.55 points, or 0.67 per cent, at 10,118.05. Intra-day, it moved between 10,175.45 and 10,094. Risk-taking took a hit as the country's exports entered negative territory after over an year, contracting 1.12 per cent in October and imports surged. This showed up in trade deficit, which swelled to almost a 3-year high of USD 14 billion last month. A subdued trend in Asia and a lower opening in Europe, tracking a fall in oil prices and doubts over US tax reforms, kept spirits low. Today's decline in the benchmarks left investors poorer by Rs 1.55 lakh crore at Rs 141.73 lakh crore. Foreign portfolio investors (FPIs) picked up shares worth a net Rs 2,576.98 crore yesterday, provisional data showed. Domestic institutional investors (DIIs) sold shares worth a net Rs 1.30 crore. From the Sensex lot, Sun Pharma turned red the most -- sinking 4.01 per cent, after the pharma major yesterday reported a big drop in consolidated net profit. Other losers included ONGC, Bharti Airtel, NTPC, Lupin and ITC. Much of the damage came from the metal index, which fell 3.04 per cent. Telecom, realty, power and consumer durables were the other losers in the sectoral space. Selling pressure also gathered momentum in broader markets, with the BSE small-cap index falling 1.52 per cent and mid-cap 1.01 per cent. Stocks of Anil Ambani's group such as Reliance Communications, Reliance capital, Reliance Infrastructure and Reliance Power faced heavy selling and lost up to 12 per cent.